﻿ The Color Living Hotel, Bangkok | FROM $34 - SAVE ON AGODA! "Excellent value for money hotel"
Have a question for The Color Living Hotel? 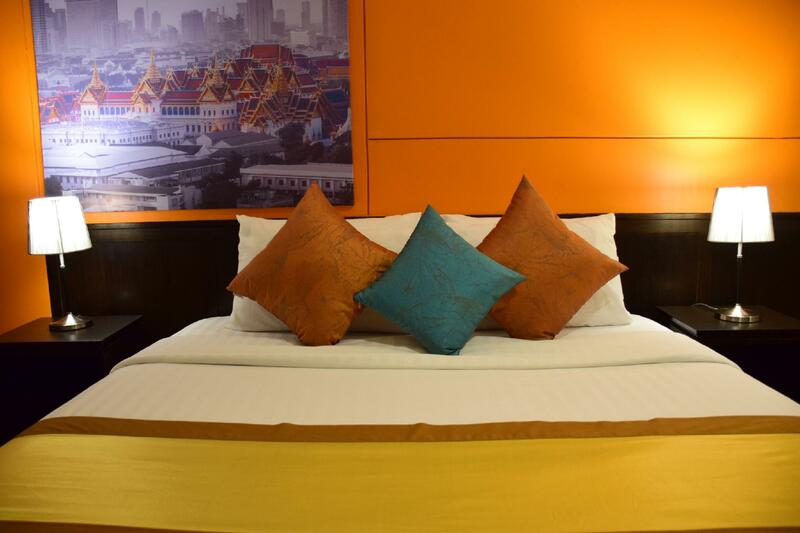 "Fine hotel near the airport and shopping center"
"Friendly efficient staff, proximity to Samutprakarn"
Have the vacation of your dreams at the Color Living Hotel. The rooms here overlook the street for stunning views of Bangkok. The Color Living Hotel is close to JAS Urban Srinakarin, Bangkok Patana International School, St Andrews International School Sukhumvit Campus, Muang Kaew Golf Course, and Central Plaza Bangna. With safety deposit boxes, shops, a convenience store, an infirmary, and a shrine, this Bangkok hotel has various convenient features to make your stay more comfortable. It features a variety of facilities for you to make use of throughout your stay, such as a fitness center, a sauna, ticket services, and a spa. From a bar to room service, the Color Living Hotel offers a range of dining and snacking options. With Thai, American, and Asian restaurants nearby, you can enjoy different types of cuisines during your trip. Have a delightful meal at Faiekham, Na Siam, Saeng Chai Pochana, Bangkok Burger Company Mega Bangna, Lovells Ice Cream or other local restaurants. Offering guided tours, the hotel is a great spot to stay to learn about your surroundings and see everything you can while you're here. Karaoke bars can be found in the area, where you can show off your singing skills and meet new friends. To make your stay truly relaxing, you can take a short break from your other activities and pamper yourself for a few hours with a massage. The Color Living Hotel offers a range of transport options, such as airport transfers, taxi services, car rentals, and shuttle services. 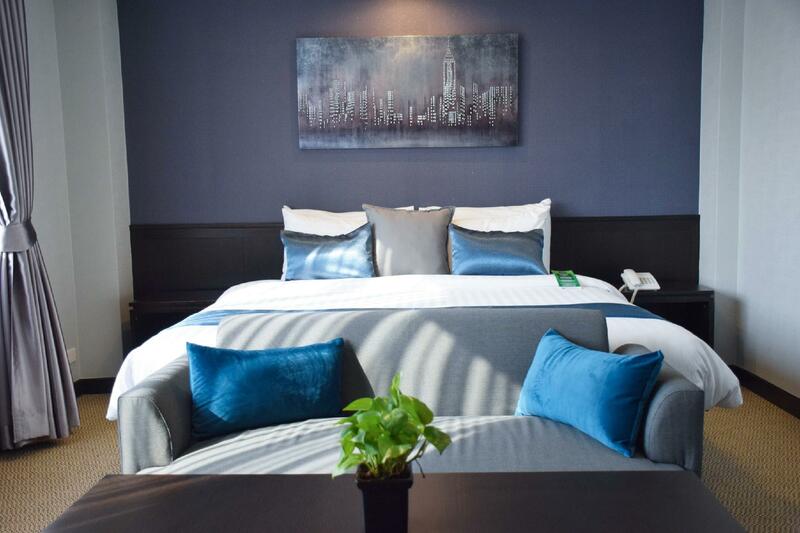 With dry cleaning services, a concierge, and a babysitting service, this hotel has various convenient services, ensuring that you get the most out of your stay in Bangkok. 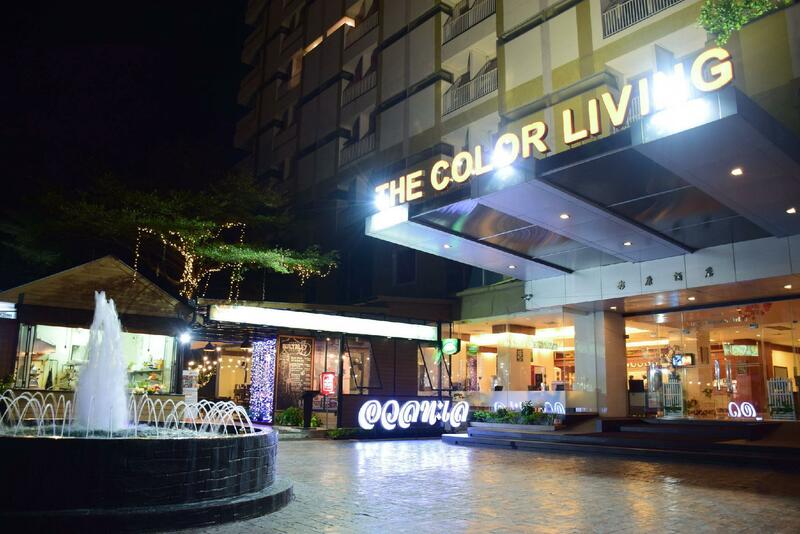 The Color Living Hotel offers check-in from 02:00 PM and check-out until 12:00 PM. There's free Wi-Fi available in all rooms, as well as Wi-Fi in common areas, so visitors won't have to worry about buying a local sim card. The Color Living Hotel has express, private, and 24-hour check in and check out, so you can conveniently opt for the service that best suits your schedule. The front desk is open around the clock, ensuring that there is always someone on call to answer any questions at all hours of the day or night. Featuring family rooms, this Bangkok hotel has ample space for your whole family to lounge around together. It is equipped with a kids swimming pool to keep your children happy and active during your stay. Bearing BTS Station is 5.0 km away and Bang Na BTS Station is 5.5 km away. Round trip airport transfer is available at an additional charge. In order to reserve the transfer, please inform the property of your arrival details upon completing the booking. The room is clean and spacious. There are many food stalls just outside the hotel. The staff are friendly and polite. It would be great if the swimming pool is in the hotel. Big rooms. Friendly staff. Good food. Enjoyed my stay very much. Would not recommend this hotel if you are trying to visit the ancient city. Staff is very judgemental and let me get to the SUPERIOR TOWER. The description of superior tower is very misleading. Superior tower at the color of living is staying in another sepreate building that is way in the back, and staying on a floor of a apartment building. I have never stayed at a hotel that has rooms that have people who also live there. I don't have problem with the people even though they are very nosy. But thats thailand police, locals watching outsiders that don't belong there. But I paid to stay in a hotel not a apartment building. I could of used airbnb for that. The room door for the patio was basically broken. I couldn't even open it. And the locals have to much traffic going in and out of the area bumping there loud music making it hard to relax. I made a booking with agoda the room supposed to be a premium room buy was placed I room in a room in another building with no security I felt very unsafe due to dark area with no staff. Rooms are large but in poor condition. Mould in bathroom. Shower is positioned for very short person. Virtually no towel hangers. TV connection was atrocious. Internet is advertised as hi speed but its very very poor wifi. Its not near anything and on an extremely busy road. Stayed there because it was near where I needed to be.